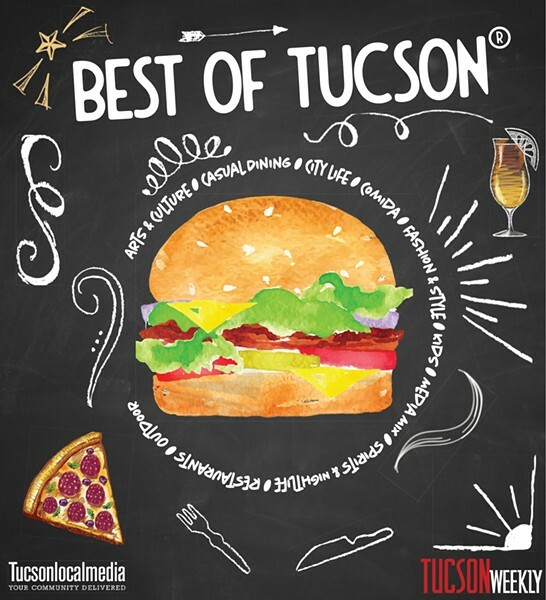 Creating the Best of Tucson® is a lot like running a restaurant on a busy night: It takes a big team to get it right, and quite often, you find yourself doing a job that might not be yours. But everyone pitches in in the hopes of making your guests happy with what ends up on the plate. Or in this case, on the page. Web editor Tirion Morris and our unpaid interns Chandler Donald, Mo Irish, Bree Lewis, Kara Lipson, Savanah Modesitt, Zac Ogden and Hector Ponce were the prep cooks, getting all the ingredients together by tabulating the results of more than 16,000 ballots containing nearly 1.2 million different votes into spreadsheets and Google docs. Then Tirion joined Christopher Boan, Logan Burtch-Buus, Emily Dieckman, Jeff Gardner, Danyelle Khmara and Linda Ray to stir in the words. Logan and Danyelle cooked up the images, with an assist from Bandit Riveredge Photography and other friends. The sharp-eyed Sheryl Kocher spotted a few burnt elements that weren't up to snuff and needed to be removed before we delivered this meal to your table. Production department graphic artist Anissa Sprecher handled the plating with her cover design, while her fellow graphic artists Louis Armendariz and Oliver Muñoz did their bit to make the presentation look appetizing. The sales department, headed up by the capable culinarian Casey Anderson, took care of the reservations. Thanks to the reps for booking even more tables than last year: Kristin Chester, Candace Murray, Lisa Hopper, Brek Montoya, Tyler Vondrak and Liane White. Keeping track of all the tabs (as well as the unruly kitchen staff) were Jaime Hood and Kate Long, while distribution manager Laura Horvath ensured you got this fine meal in your hands. Special thanks goes to publisher Jason Joseph for trusting us enough to steer clear of kitchen while we were doing the cooking. And finally, there's kitchen manager Chelo Grubb, who not only spiced things up with her own contributions to the recipes, but also kept everything on-track while maintaining an unflappable calm. 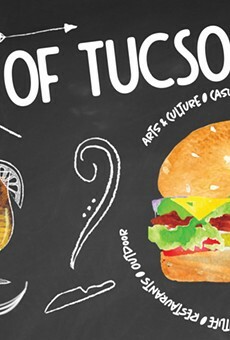 But this all really started with you, the readers, telling us your thoughts on the Best of Tucson®—and it ends with you, too. May you enjoy the feast we've laid out for you. Best Place To Go If You Want Your Wardrobe and Home Décor To Say: "I Love Tucson, but It's Way Too Hot"